Guangdong Province is China&apos;s center for commodities manufacturing. In Guangzhou, inexpensive electronics, clothing, computers, and thousands of other products are on sale in the huge markets and thousands of shops. 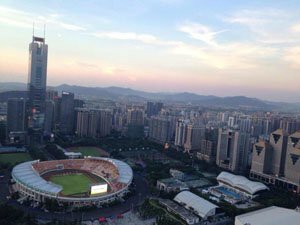 The area of Dongquan and Shenzhen just to the south is the world&apos;s biggest electronics manufacturing region, so there are bargains for electronics as well. You&apos;ll see thousands of foreign shoppers and business people in the major wholesale markets, retail streets, new luxury malls, and at the Canton Fair. Here our are suggestions for the best shopping places for tourists and travellers. Tourists or visitors can try shopping in the wholesale markets and find good bargains on single items or small quantities if a salesperson will entertain you. Often they won&apos;t.
Baima Market is the most popular single market and gets the highest turnover for high end clothing and fashion (located opposite Guangzhou Railway Station 16 Zhan Nan Road Zhan Nan Road 站南路16号白马服装批发市场). Listed 8 of 184 Best Shopping on TripAdvisor (2016). Liu Hua is near Guangzhou Station and adjacent to the Provincial Bus Station. It is actually a giant large market cluster with 13 clothing wholesale centers including Baima, Bubugao, Tianma clothing market, Xindadi, and Fuli (194 Huan Shi Xi Road 环市西路194号). All the above major markets are concentrated around the Guangzhou Railway Station at the center of Guangzhou. You can go there on the bullet train from Luohu in Shenzhen or the Guangzhou Subway Line 2. Wanjia Clothes Wholesale Market is a part of the Shahe market area. (Take Line 6 to Shaheding Station 沙河顶 that is at the western side of the Shahe market area). Shenzhen has a better reputation for sourcing electronics. For good quality retail electronics, most would say buy in Hong Kong to be sure of quality. Cheap electronics and components can be found in numerous shops and stores along Jiefang Zhong Lu, Zhongshan Liu Lu and nearby Huifu Xi Lu. Most tourists shopping for personal needs will prefer shopping streets designed for tourist enjoyment. Beijing Road 北京西路 is the most popular shopping street among foreigners listed #1 on TripAdvisor for places to shop. It is brightly lit with many restaurants and designed for tourists. It is very easy to get to by taking the metro to the Gongyuanqian Station. 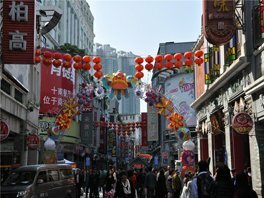 Shangxiajiu: Hundreds of shops including many department stores are along this 1,218-meter street. The whole area has 10 adjacent shopping streets. The main goods are clothing, cloth, and tourist items. It is known for its Cantonese restaurants and street snacks. Rated #4 on TripAdvisor. Take Line 1, get off at Changshou Road (长寿路), take Exit A, and walk about 500 meters along Baohua Road (宝华路). 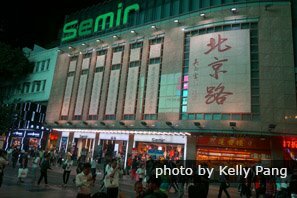 Read A Half Day or Day Tour suggestion including Shangxiajiu. The best sightseeing in Guangzhou is at the Zhujiang New Town area along with ritzy shopping. The Guangdong Museum, very high buildings with observatories, and ritzy malls make the area a tourist highlight. Ease of transportation makes visiting convenient. 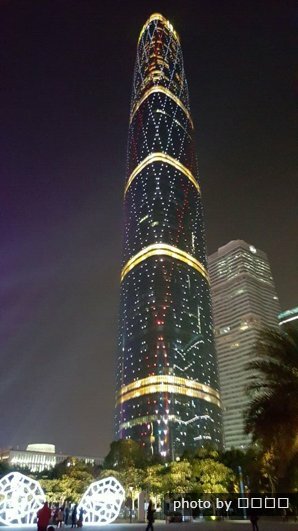 CTF Finance Center Tower/mall: Guangzhou&apos;s newest highlight is the world&apos;s 7th tallest tower. The massive structure has restaurants and an observatory on top (the city&apos;s highest and the world&apos;s second highest), and a luxury mall at the bottom. It is next to another super tall building and mall called the IFC Tower in the new luxury shopping area of Tianhe District. Mall of the World: One of the malls to visit is underground under the large plaza next to the IFC Tower. Its many restaurants are places to stop and relax. Bargains? However, don&apos;t expect many advantages shopping for luxury products or high fashion. High tariffs makes Hong Kong better for that. See What Mainland Expats Want to Buy in Hong Kong in 2016 to see what the relative advantages of shopping in Hong Kong might be. Hong Kong is close enough for a half-day shopping trip. Cantonese embroidery is well-known for its bright colors, vivid patterns, and creative ideas. For some reason, Chinese have always loved jade items from burial clothing for emperors to pendants that many Chinese now wear. Jade ornaments include jade bracelets, jade rings, and jade earrings. 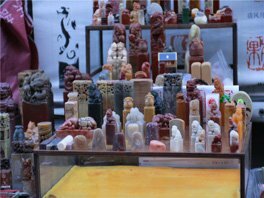 Decorations people might want to decorate their houses or offices with include jade paperweights, figurines, and vases. Jade Street 玉器街: Hundreds of small shops sell jade items. Foreigners may have problems finding the street. Address: Changshou Lu (长寿路) and Wenchang Lu (文昌路); near Shangxiajiu Pedestrian Street. You can take Metro Line 1 and get off at Chang Shou Lu. You can show this to the taxi driver. 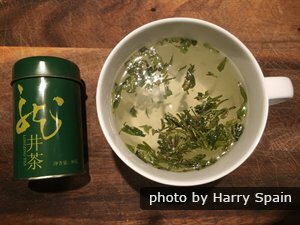 The selection, range of types, and quality of Chinese tea is the best in the world. So in Guangzhou, you can pick up a stash of good quality tea, at comparably low prices, to enjoy at home. Nanfang Tea Market 南方茶叶总汇: Nanfang Tea Market might be one of the most complete markets in China for famous teas, tea sets and tea artware. The market covers an area of about 20,000 square meters (215, 278 square ft) with about 300 shops. Address: 8-10 Qishi Road, Fangcun District (广州市芳村区洞企石路8-10号). China makes more shoes than any other country. About 1/3 of the world&apos;s shoes are made in Guangdong. Global International Shoes Trade Center 国际鞋城步云天地: This is a world of shoes with lots and lots of shops. All kinds of locally made shoes can be found. Prices are very cheap. Generally speaking, people can pay about 150 to 200 RMB (about 20 or 30 USD) for a pair of shoes that might sell for two or three times or more in the US. The most famous visitor highlight is the twice yearly Canton Fair that is China&apos;s biggest trade fair and one of the biggest in the world. 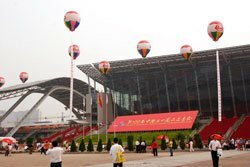 About 200,000 people attend each event of the the semi-annual Canton Fair. Public visitors: A certain day or several days are open to the public, but attenders have to show that they actually have a business. It is listed #2 of Best Shopping Places in the city on TripAdvisor (2016) For more information, see The Top 5 Trade Fairs in China. To explore Guangzhou and shop, it will be helpful to have a professional tour guide and driver. 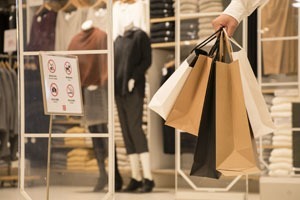 Tell us if you want to go on a shopping tour. 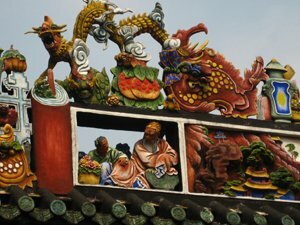 4-Day Guangzhou and Shenzhen Essence Tour. Contact us to go on private tour with us.